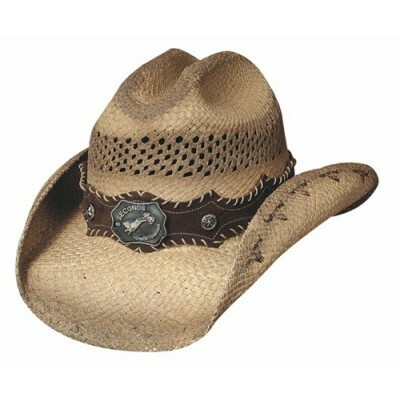 Ride 'Em is a genuine panama cowboy hat with a 3-7/8 inch brim! The straw weave allows for ventilation, and the style is perfect. 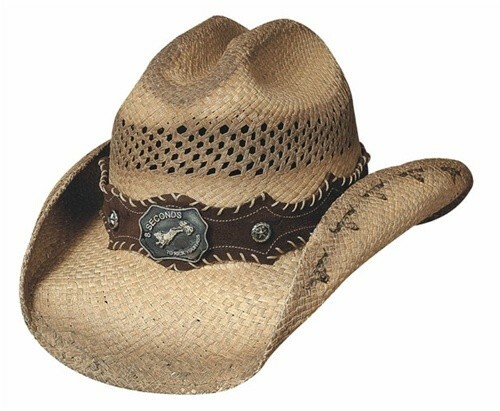 With this hat, you won't have to worry about sacrificing comfort for style, with the ventilated crown, you have a buckled band and a cattleman crown. This hat with its aged look will be an instant cornerstone in your hat collection.